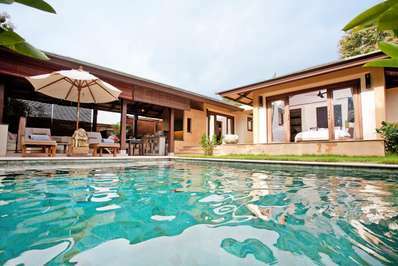 Eats & Retreats features a curated portfolio of Krabi private luxury villas & vacation rentals to rent for individuals, couples, friends, families & large group holidays. We work directly with property owners to guarantee the best price. 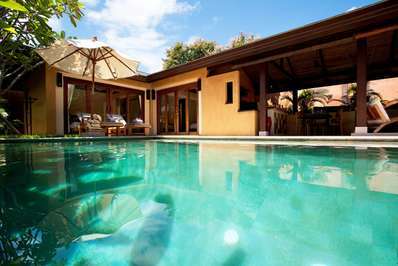 We also provide a book-now service with a 72 hour free cancellation period. Located on the beach in Ao Nam Mao, Krabi. 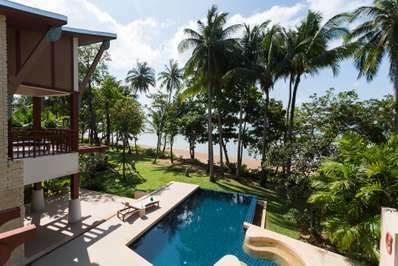 Amatapura Beach Villa Beachfront 14 is a tropical villa in Thailand. 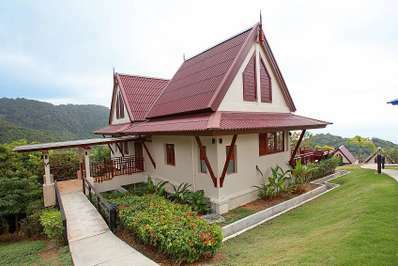 Located with sea views in Ao Nang, Krabi. 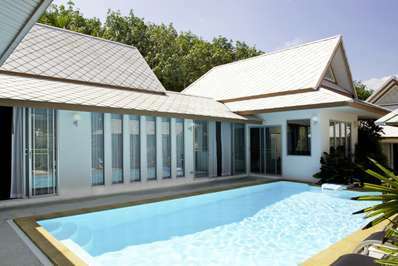 15 Goodwood Hill is a contemporary villa in Thailand. 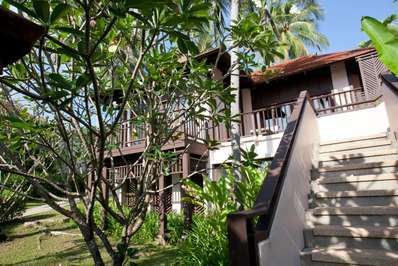 Located on the beach in Ao Nam Mao, Krabi. 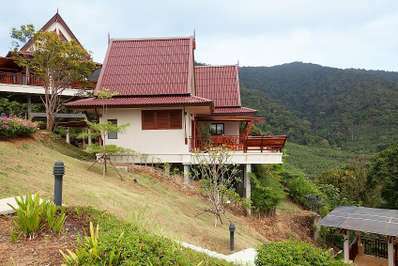 Amatapura Beach Villa Beachfront 12 is a tropical villa in Thailand. 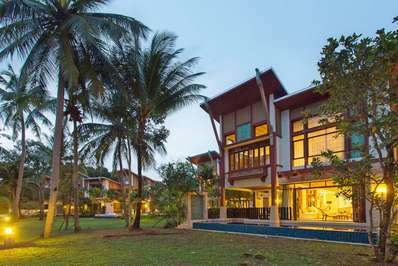 Krabi is a province in South West Thailand with some of the most beautiful beaches and astonishing good value luxury Krabi villas. It is the nature, unpopulated beaches, and nearby islands that make it a perfect escape if you are looking for serenity. To get to Krabi, take a train to Suratthani and then a bus from there, or use the direct connections by road or air. Krabi International Airport is 10 kilometers from the city limits, fifteen kilometers from the city center and 40 kilometers from famous Ao Nang. Krabi with its rocky cliffs and nearby islands provides Thailand’s most stunning and romantic sunsets. Krabi boasts some of the world’s most untouched beauties. You can visit the most sought-after beach area of Railay and Koh Poda. Another best example of natural beauty is Emerald Pool, which is a vividly colored pool of natural spring water. You can spend your days lazing on the nearby virgin islands where you can indulge in activities like swimming, kayaking, snorkeling, fishing, scuba diving, sunbathing, hiking, and much more. For spiritualism, you can visit Tiger Cave Temple, one of the most sacred Buddhist sites in the province. But be aware there are 1237 steps to the top. There are endless options for accommodation. 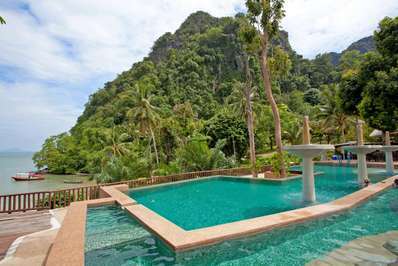 Stay at ultra-luxurious holiday Villas to rent in Krabi for an ultimate experience. 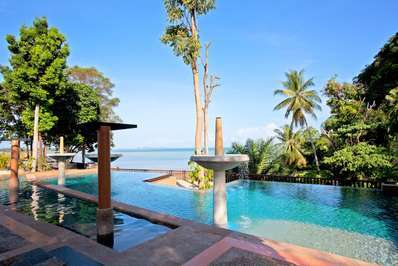 The best opulent accommodations in Krabi come with all features required for an unforgettable vacation in this charming province of southern Thailand. 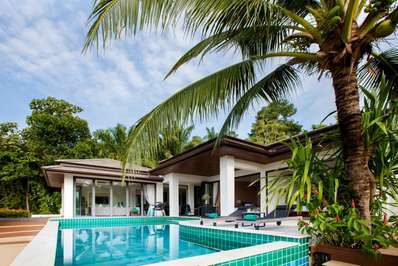 It is true that the natural beauty and serenity of the province remains intact, and luxury holiday villas to rent in Krabi respect these assets and blend with them. If we say in simple terms, you’ll get the best of both worlds. 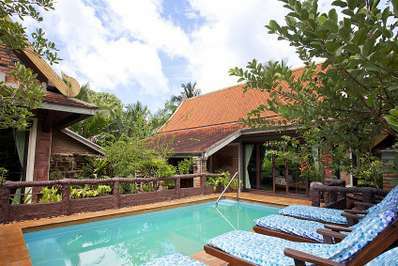 You will enjoy wonderful beaches, jungles, and attractions while indulging in the top-class services at Krabi villas. Whether you are a backpacker or planning a comfortable family trip, make your way to Krabi and you will find the perfect accommodation.